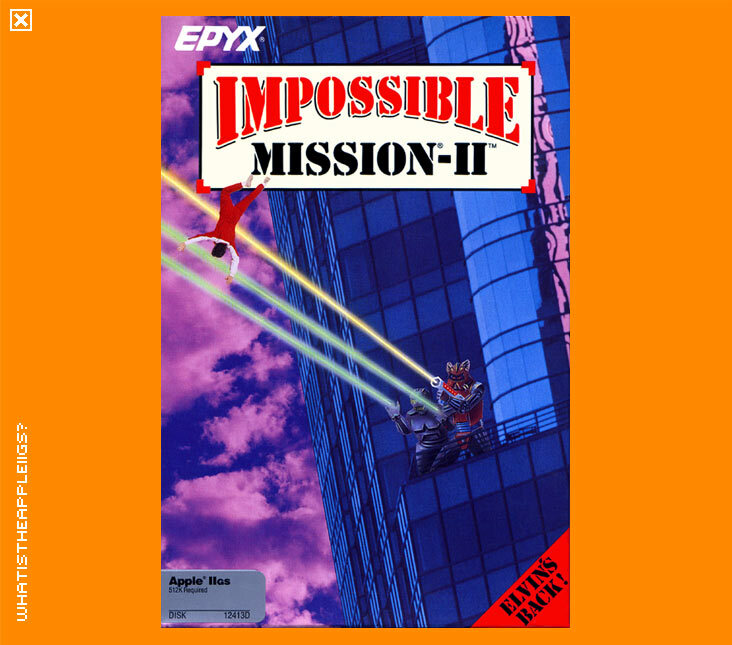 Impossible Mission 2 was the sequel to the popular Impossible Mission, renowned for being a huge, complex game with neat speech. 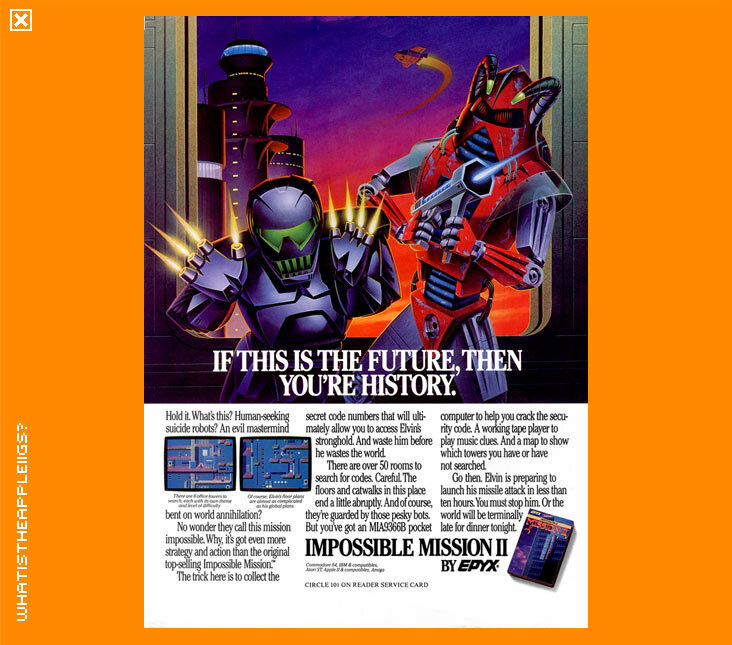 There is no IIGS version of the original however there was for the 8-bit Apple II. Again, you are trapped in a tower and have to get out, not to mention prevent the world from being destroyed by your evil captor Elvin. A mix of action, puzzles and strategy is needed to play the game. The action comes in the form similar to a platform game, the puzzles in the form of getting past robots and strategy required for the items you need and use to get further through the game. Use the keypad to control your character, open apple is the jump button. Pressing the jump button while you're not moving will activate your personal computer which includes viewing the items in your inventory. 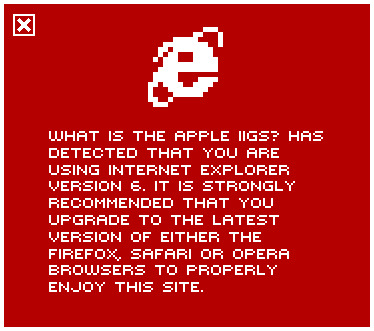 The IIGS version won't win any prizes for being outstanding. It's a solid conversion, with colourful but not breathtaking graphics and fair sound.